The bird nets are on and we are monitoring the rising sugar levels in the grapes. A very dry summer was punctuated by some well-timed rain events in January. This is not a common event here, but what is ‘normal’ weather anymore? I was very pleased to see a greener than usual vine canopy persisting into Autumn with some sensational colour developing in the berries. 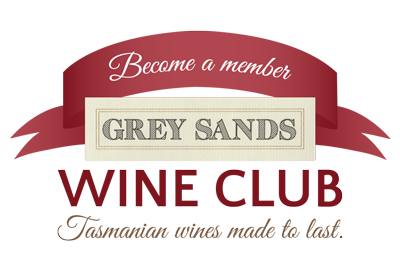 We are running about 7-10 days behind last year, which was a record early vintage here at Grey Sands. Intriguingly, there seems to be a relationship between the dates of Easter each year and harvest dates for our grapes, which is partly governed by Lunar cycles and the Autumn equinox in March. We were also spared from a minor frost event two weeks ago in the north of the state. 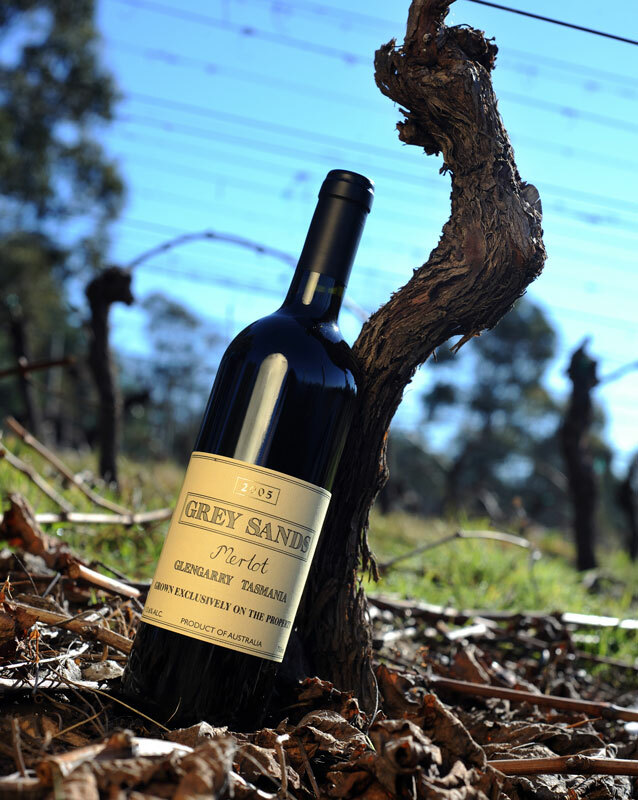 Throw into the mix 2 consecutive days over 30 degrees and a couple of days with a local bushfire visible at night and the month of March sounds a bit bumpy, but through all of this a great vintage is still in play. Looking back on events, the first decade was devoted to expanding our plantings and developing our viticultural practices. The second decade involved experimentation with our winemaking, understanding our grape resource and settling on our wine styles. The third decade has been about brand development and gaining some recognition in a crowded market. If you like our wines, please help ‘spread the word’ ! This is not a business for anyone impatient or needing immediate gratification! All stages have been slow and deliberate but at the same time rewarding. The 2013 Pinot Gris (which is only available direct from us) and 2013 Pinot Noir from an exceptional vintage, showing both power and finesse. 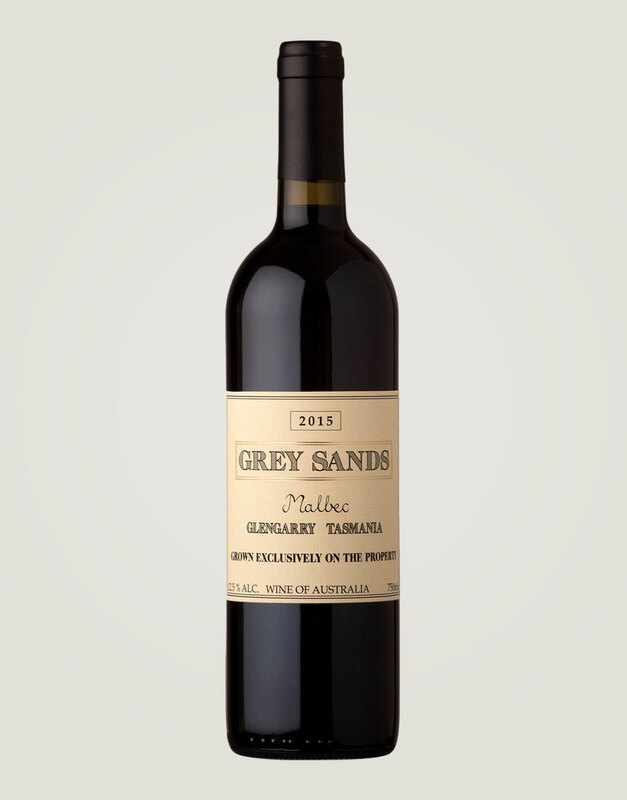 The other wine is the 2009 Merlot, the first vintage of fruit grown solely on our clay area, from a very low yielding vintage, which showcases the ageing potential of the Bordeaux varieties. A 10 year old wine in fine form. We are in the process of revamping our website so there may be some initial glitches. Please bear with us and report any ordering issues via email or on 0407961167 so we can help you & also get the problem sorted as quickly as we can. We will be open for tastings on 6th & 7th April AND 4th & 5th May this year as we are part of Blooming Tasmania’s ‘Autumn Trail’. We have many trees & shrubs in our garden (cellar door) which colour in autumn. In addition, grape vines also change colour in autumn, and each variety goes different colours…some just go gold, others more orange and still others go varying shades of red. As we have 17 different grape varieties growing, there’s quite a bit of colour in autumn. An advance ‘heads up’… we have taken part in the Tamar Valley Farmgate Festival since it’s inception 2 years ago. This year the dates will be 23rd & 24th November. Plenty of notice if you need to book flights or holidays to attend. Fifteen farms, growing a diverse range of produce will be open for the weekend. Some of the farms taking part don’t open at any other time. Guided tours are part of the offering at each farm and of course their produce is available for tasting and / or purchase. Follow the Festival on Facebook or keep an eye on our Facebook page for updates.